Here are the best LG V30 cases you can buy right now! The LG V30 is the latest flagship smartphone from LG, and the successor to 2016’s V20. There are a bunch of features that make the V30 a highly recommended phone, from its large POLED 6-inch display with only a small amount of bezel space, to its advanced camera and audio features, and much more. As you might expect, there’s already no shortage of cases for people who want to put some extra protection on their own LG V30. There are cases that are slim and good looking, all the way to the thick and rugged cases made to keep the phone safer from falling. 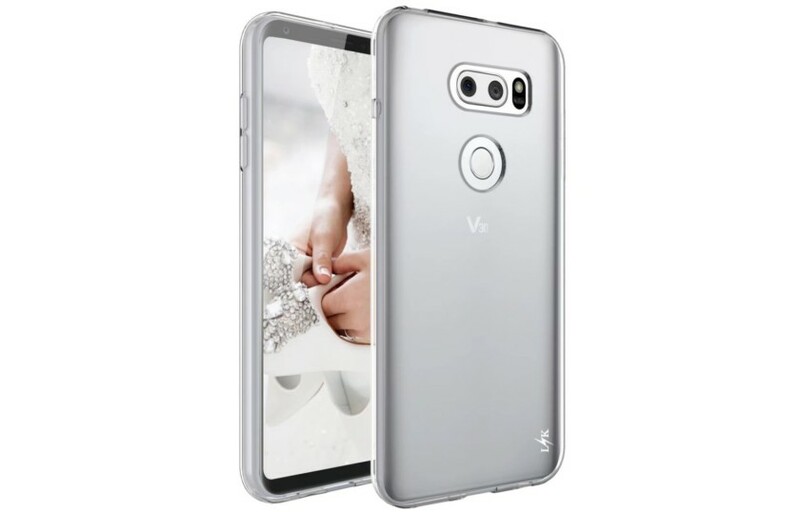 We have come up with our own list of LG V30 cases that we think are the best, at least for the moment, and which offer a wide variety of uses for different owners. Looking for a thin LG V30 case? There is no thinner case than the MNML case at just 0.35 mm. It’s so thin that it will look and feel like you have no case at all. It doesn’t offer much drop protection, but it will protect you from the day-to-day scratches that can accumulate. The case comes in 4 different colors, including clear black, matte black, matte black, Lavender Violet, and MoroccanBlue, and it’s on sale for $14.99. The Spigen company is known for their rugged cases, and its new Rugged Armor model for the LG V30 is no exception. It has a TPU layer with carbon fiber and gloss detailing, along with raised edges for both the display and the rear camera so the case doesn’t come in contact with those parts of the phone. The case comes with Air Cushion Technology that Spigen says will give the phone better shock absorption if it falls. The buttons on the side of the case are supposed to replicate the feel of the V30’s original buttons. Finally, the case has a special indented cutout just for the rear fingerprint sensor to allow it to get better access. Amazon is currently selling the case for $12.99. Here’s another case from Spigen, and this one should make it even harder to break the LV V30 if you have any issues with it falling. The Tough Armor case has even heavier duty material than the Rugged Armor case, with a TPU cover and PC back. It also has all of the features of the other case, plus one very nice extra. It has a built-in kickstand so you can prop up the V30 on a table in landscape mode, so you can watch videos or chat with friends on its big 6-inch display. Amazon is currently selling the case for $15.99 in black and $16.99 in a gunmetal color. Sure that’s a bit more than some of the other cases we’ve highlighted here, but Spigen has a history of high quality, ensuring this is one of the best LG V30 cases you can currently buy. If you are looking for a case for your new LG V30 that will show off the phone itself, in nearly all of its glory, the Ringke [FUSION] Crystal Clear case could be what you are looking for. The clear coating on this case allows you, and anyone else, to admire the design of the V30. At the same time, the case also uses thermoplastic polyurethane (TPU) corner cushions to help protect the phone from falls. Indeed, the company claims the case has a MIL-STD 810G rating for such falls, despite its relatively slim shape. The crystal clear version of the Ringke [FUSION] case currently costs $7.99 on Amazon, but you can get the same case in a rose gold crystal color, or in a smoke black color, for $8.99. At this pricing, Ringke’s cases aren’t only some of the best LG V30 cases out there — they are also some of the most affordable. The Lumion case for the LG V30 has many of the same features we have seen in other rugged cases, including a TPU body and PC bumpers that is supposed to meet or exceed MIL STD 810F ratings. However, it also has a raised lip on the back, surrounding both the phone’s dual camera and its fingerprint sensor. This is suppose to provide those items with some extra protection from any stray scratches that might happen to those parts. The case is also pretty slim, which should allow V30 users to safely put the phone in their pants pocket without too much trouble. Finally, it has a smooth matte back with a brushed design that looks and feel slick. You can get the Lumion LG V30 Heavy Duty Armor Defender Case in silver, rose pink or black metallic colors for $13.99. If you want to get a case for your LH V30 that looks a bit different from the crowd, than this rugged TAURI [Geo Series] model may be for you. The case has two cutouts on the back that give it a little more style than the smooth backs you find on most cases. The back also has raised lips for the cameras and fingerprint sensors for some extra protection. Like many of the rugged cases, it has a hard PC shell and an inner flexible TPU shell to keep the phone from being damaged in case of a fall. Also, the sides of the case have textured edges to help give users a better grip so it won’t slip out of their hands. Amazon is selling the TAURI [Geo Series] LG V30 case in black and rose gold colors for $8.99, making this one of the more affordable LG V30 cases on this list. While we have featured many cases that are very rugged, some LG V30 owners just want something slim. If that happens to be you, then this case from LK could be for you. This lightweight case is designed for people who want to have something thin to cover their phone, but it will still offer at least some protection from scratches. The TPU material still offers users access to all of the buttons and ports on the phone, along with raised lips for the cameras and fingerprint sensor. You can get the LK Ultra [Slim Thin] LG V30 case in clear, black or purple colors on Amazon for $7.99. Here’s another case for the LG V30 that’s made by TAURI, but this one is made for people who want to combine their wallet with their smartphone. This wallet-based leather case contains pockets and sleeves that let users put in their ID, credit and other cards, along with cash, inside the case. The phone itself is held with a magnetic clip and the case can help protect the phone from stray scratches. It even has a built-in kickstand for watching videos on the phone in landscape mode. You can get this TAURI wallet case for the LG V30 for $9.99 on Amazon, and it comes in black, purple and rose gold colors. There are going to be a ton of third-party LG V30 cases, and we will update this post if needed if any new and noteworthy cases go on sale. In the meantime, which of these LG V30 cases are most attractive to you? Let us know your thoughts in the comments!